Beachy cottage awaits. Location, location, location! Just down the road from Stump Pass and Boca Grande, great restaurants and shopping, and everything you need in quaint Grove City, Englewood, FL. Easy Florida coastal living awaits you in this quiet neighborhood that offers boat ramp just two streets away with optional boat ramp annual fee use of $50 per year. You can park your RV, and boat and trailer at your home as there is plenty of room. This could be a great seasonal winter vacation retreat or stay year round for great coastal beach town living! This home has been updated over the years with new flooring, new kitchen, fixtures, etc. Kitchen is open to great room and there are so many windows for natural light throughout the home. Bath has been updated with modern cabinet and lighting. Island in the kitchen and eating area provide space to cook. Appliances are nice and backsplash and lighting make perfect accents. There is room in large utility room to add a second bath for guests. Home has true Florida landscape including a Banyan tree** large private backyard** brick fire pit with wood waiting for you to enjoy Florida evenings looking at the stars, feeling the Gulf breezes and hearing the quiet peace in this lovely area**. 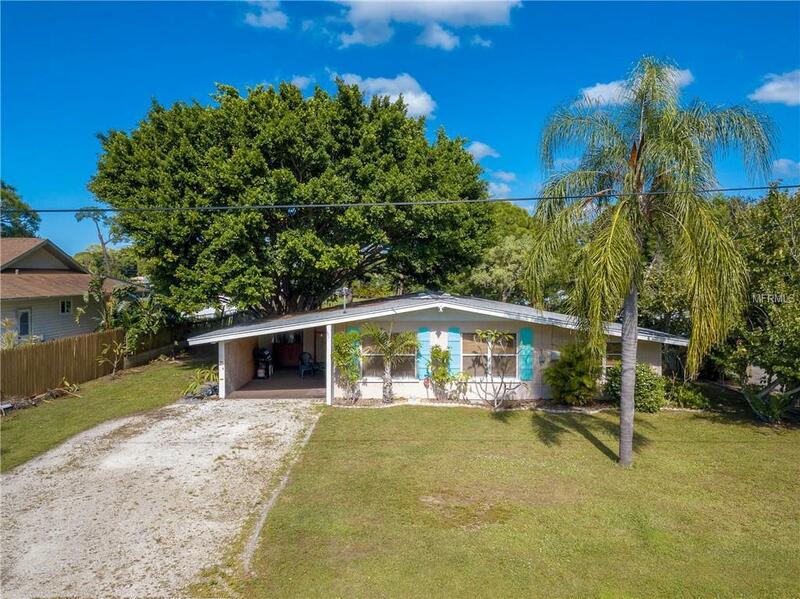 As you are driving away from the home, note the beautiful view of Lemon Bay just in front of you...You are home..Just minutes from Intracoastal and Gulf of Mexico for boating, kayaking, fishing, and coastal beaches. World class golfing and Historic Dearborn nearby. Lot Size Dimensions 80Ft. X 151Ft. Amenities Additional Fees The $50 Fee is Required For Those Who Need Use Of The Neighborhood Boat Ramp.